2018 was a great year of translations, music videos and guest posts on High Peaks Pure Earth, thank you all for reading, submitting, commenting, supporting, sharing and getting in touch. We’re happy to see so many readers stay with us year after year, not only here but also on our Facebook and Twitter. And in 2018 we opened our Instagram account – we hope to be making more use of it in 2019 so be sure to follow us! 1. 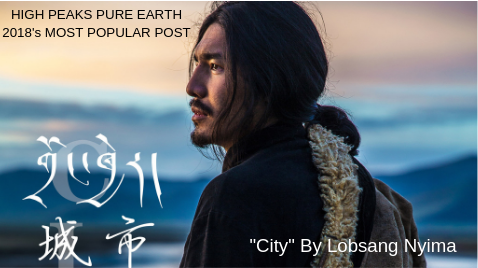 August 2018 saw the first music video we have translated to truly go viral, the music video was “City” by Lobsang Nyima. The Tibetan-style blues combined with the striking video and unusual subject matter have made for a staggering 44,000 views of the video on Facebook so far! 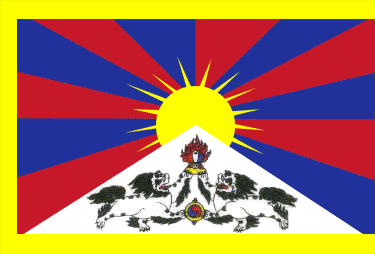 Woeser’s most read post was the very first article in the long series about the Cultural Revolution in Tibet. Over 2018, the next most read articles by Woeser on High Peaks Pure Earth were “East Turkestan Through the Eyes of a Tibetan”, a timely reflection on her 2003 travels in East Turkestan; a poem “Heavy Curtains and Deep Sleep Within Darkness”, translated by Ian Boyden which focused on the fire that broke out in Lhasa’s Jokhang Temple in February 2018; and translations of her Instagram posts from Lhasa. 3. An essay that attracted many readers was a guest post from March 2018, “The Silence of the State: The Jokhang Fire and the Response of the Chinese Government” by scholar Françoise Robin which looked at the circumstances of the Jokhang Temple fire examining both social media as well as state media reports. 4. We are thrilled that our collection of Tibetan jokes published in January 2018 were well-received. The post was enhanced by the featuring of the original artwork of Tenzin Yangzom, a contemporary Tibetan artist from Lhasa. 5. Finally, the Summer Reading List proved popular as ever and please note that we’ve just published the Winter Reading List! Those were the highlights of 2018, do stay with us in 2019! Happy New Year!